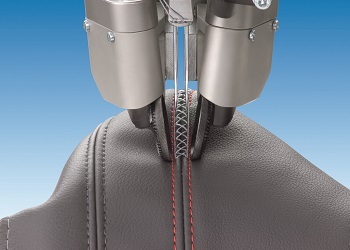 Our leather seats are specially designed to cater to your specific requirements. Easy to maintain, cigarette burn mark resistant, heat resistant, bacterial and dirt resistance, hygienic, free and so on. You are absolutely assured of great comfort, uniqueness in quality and classic in style. We are most particular in every aspect of our production from raw material to finish product, uncompromising in every detail, towards delivering attractive, zero defect, durable and very reasonable priced products. 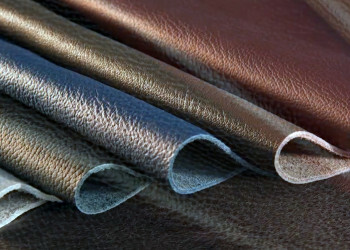 At Carbi Deco, we ensure only the best quality automotive grade leather which complies with international standards are used. We work closely with famous Italian tanneries which produce premium grade of cow hide, and also our own OEM synthetic leather which origin from US. 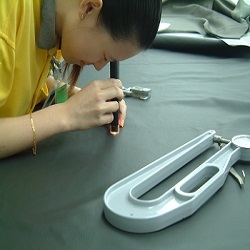 Stringent quality checks ­are conducted once the leather materials arrived in our warehouse to ensure the quality of our end products. 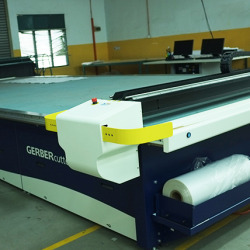 Carbi Deco production facility is located in Puchong, Malaysia. With more than 20,000 square feet of build up and land area, Carbi Deco manage to deliver a production capacity of 10,000 kits per month. All the core departments including design, production and operation, storage and research and development are located at the same premise to ensure smooth communication. While the administration, marketing team and retail sales team are located not too far away from the production factory, at the center of Puchong city, Malaysia. 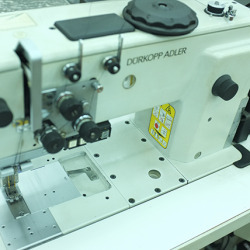 Carbi Deco invested heavily in the production facilities & state-of-the-art technology, small from a single sewing machine to the Taurus II Leather Cutting System from USA, Carbi Deco continuously keep an eye on the machines performance to ensure the reliability and quality of leather goods.